Below: A commemorative that is dedicated to the O.S.S. I am not sure who made this. Perhaps one of you will know. 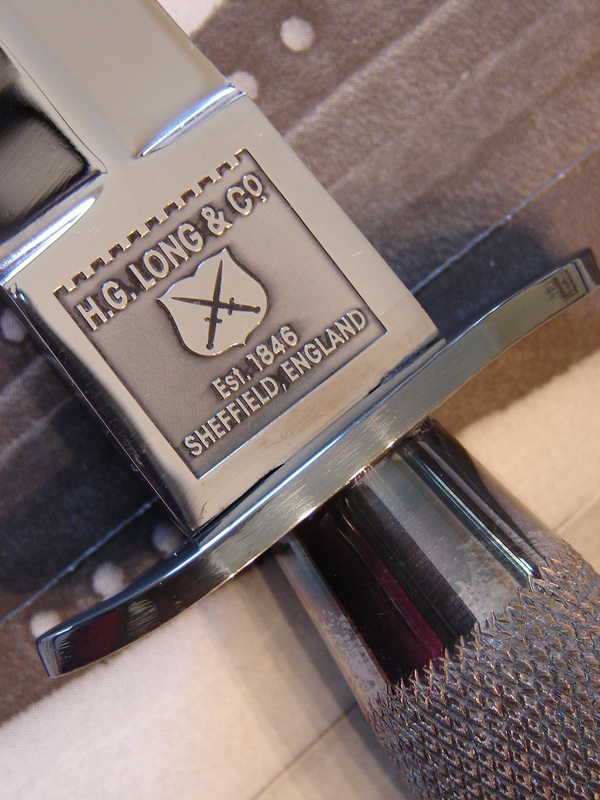 The knife has a standard machine ground, Sheffield style blade. In a diagonal etch are the letters; O.S.S. and dates of their existence.Of course after the war the O.S.S.morphed into the C.I.A. The O.S.S. organization is still fighting to gain the well deserved recognition their members have been denied all these years. 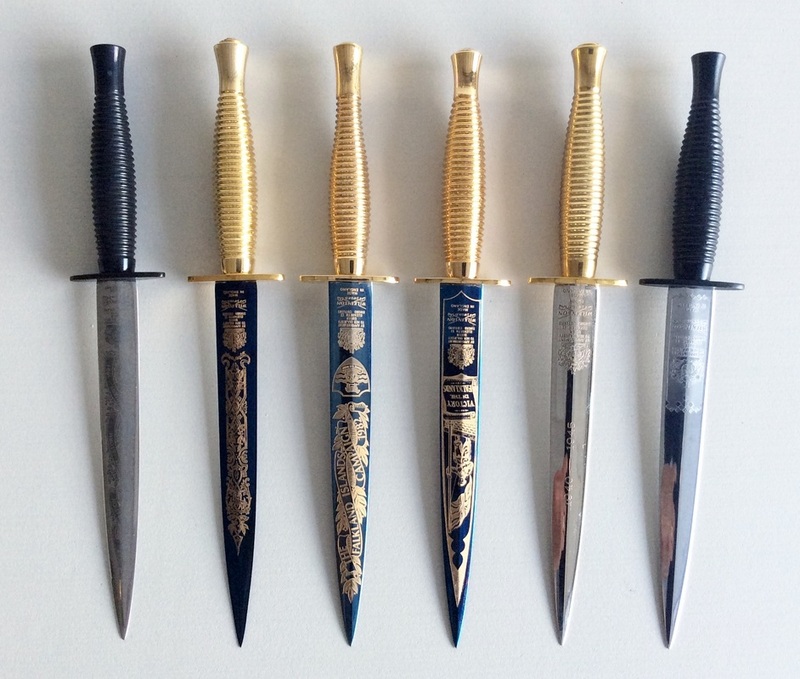 Below: A very nice selection of Commemorative Commando Knives from Wilkinson Sword Co. Knives and photo courtesy of Peter Parkinson. Cased Set of H.G. 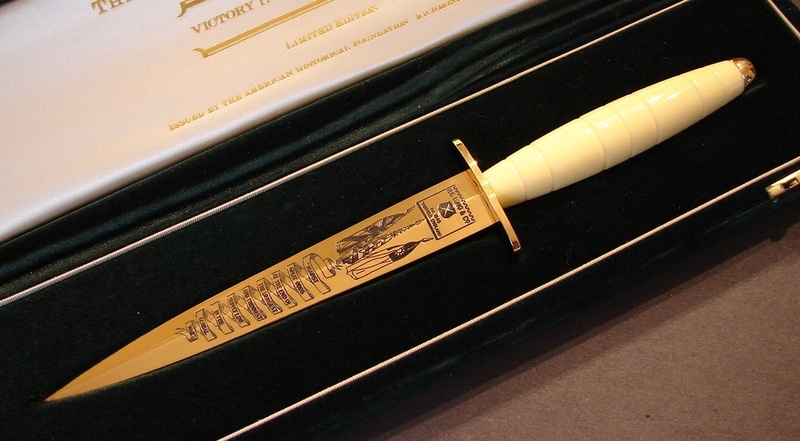 Long First Pattern Knives: Here we have a fine set of commemorative First pattern knives made by the firm of H.G. Long & Co. They came in a fitted walnut case, red velvet lined, issued by the American Historical Foundation. Because of my many purchases from this association, to this day, my wife still recognizes a "knife-sized" box from several yards away. She is indeed a rare wife who tolerates the sums of money I have spent over our married life. Although these knives are very high quality, the blades lack the distinguishing features of an original Wilkinson Sword first pattern knife. 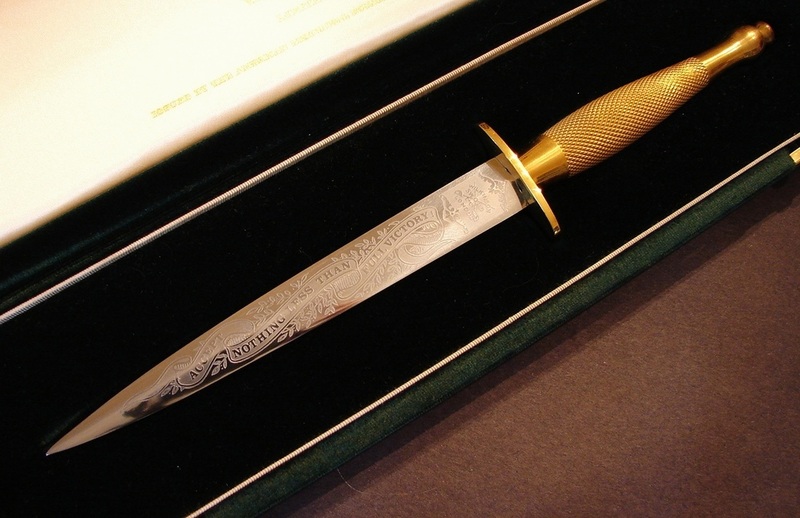 Also the etching tends to be deeper than on WW-II knives but the quality of the etching is very good. This one is gold plated with exquisite scroll engraving on the bottom and top ends of the handle and also on the guard. 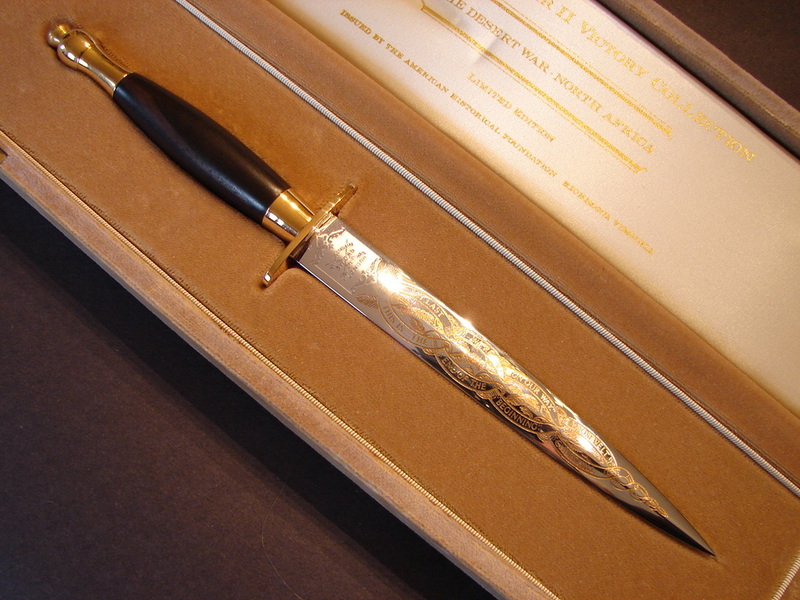 This knife is silver plated and I must admit I did not clean off the lovely blue tarnish. It is not engraved. 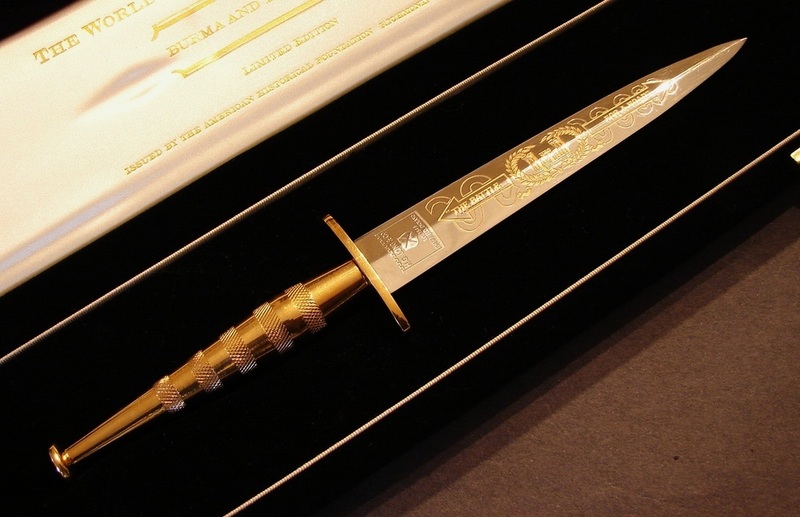 Below: Gilt and etched knife dedicated to the heroism and sacrifice of the men on Iwo Jima. 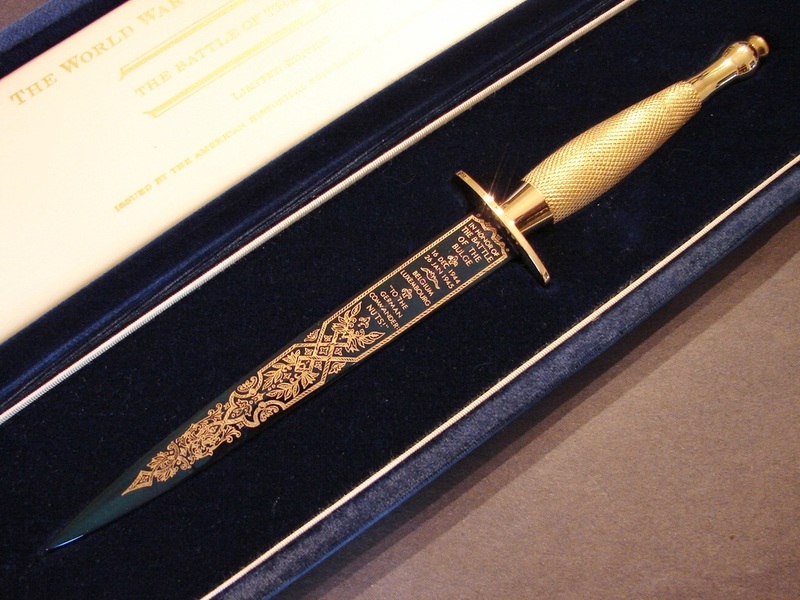 Below: Gold gilt commemorative honoring the SAS. 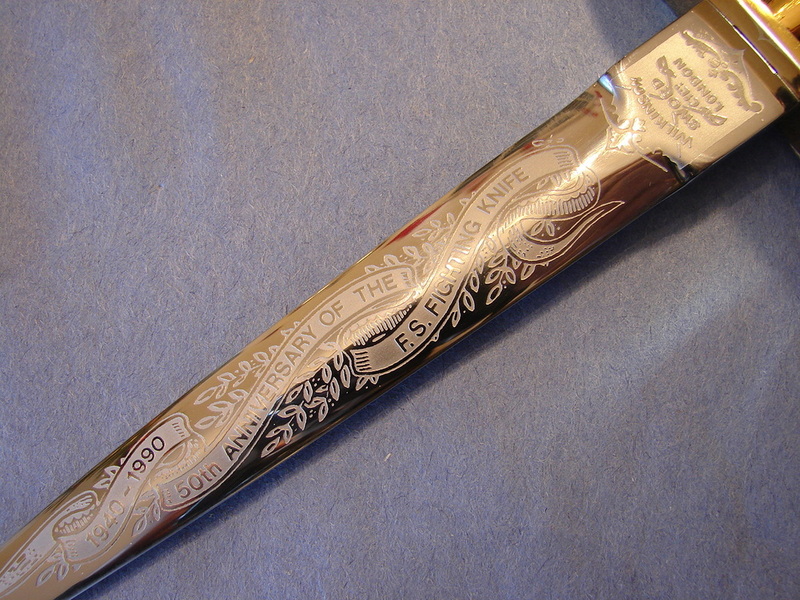 Crafted by Crown Sword Company and nicely cased by the American Historical Foundation. 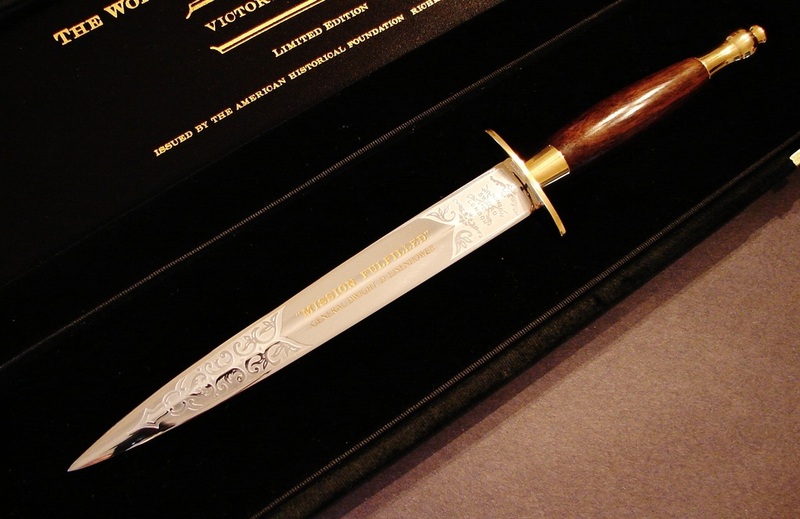 Here is a new addition to the Commemorative knives page. 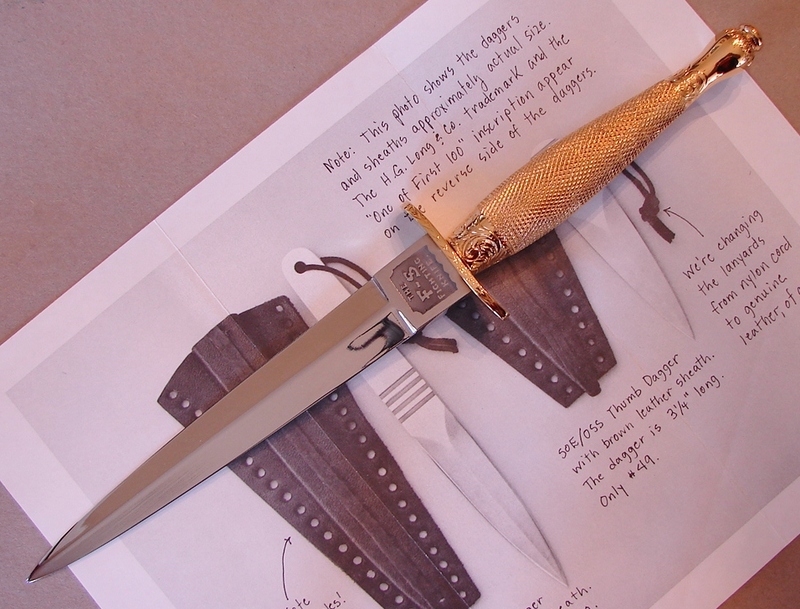 This knife was made by Crown Sword Co. The photos were provided by the owner, a follower of our website. 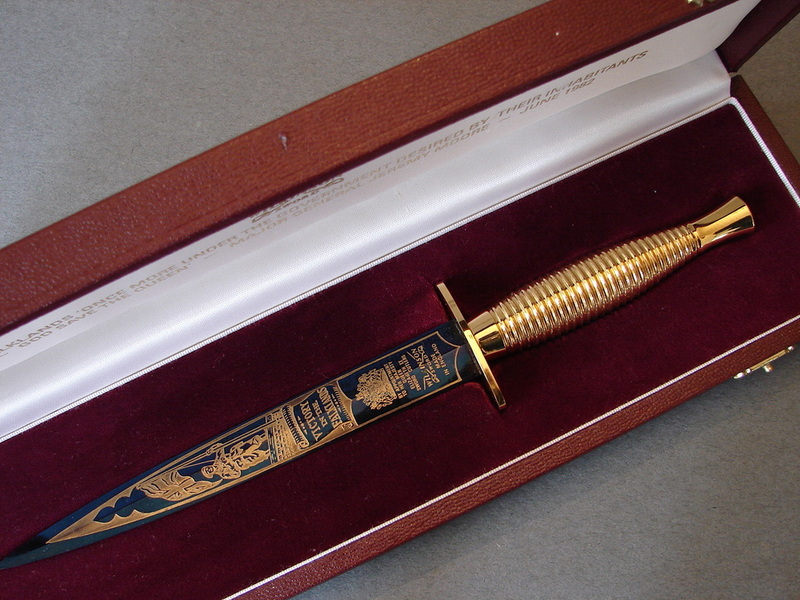 Below: This lovely knife commemorates the various Parachute Regiments of the British armed forces. Note the unique third pattern handle with a second pattern knob style pommel. The quality is obvious. issued. I have a few of them from Wilkinson Sword and H.G. Long. The grouping shown here are from WSC and were issued by the American Historical Foundation in Richmond, VA. They commemorate some of the major actions of WW-II in the European theater. Below: All of the Wilkinson Sword Co. Knives illustrated here are of the utmost quality. 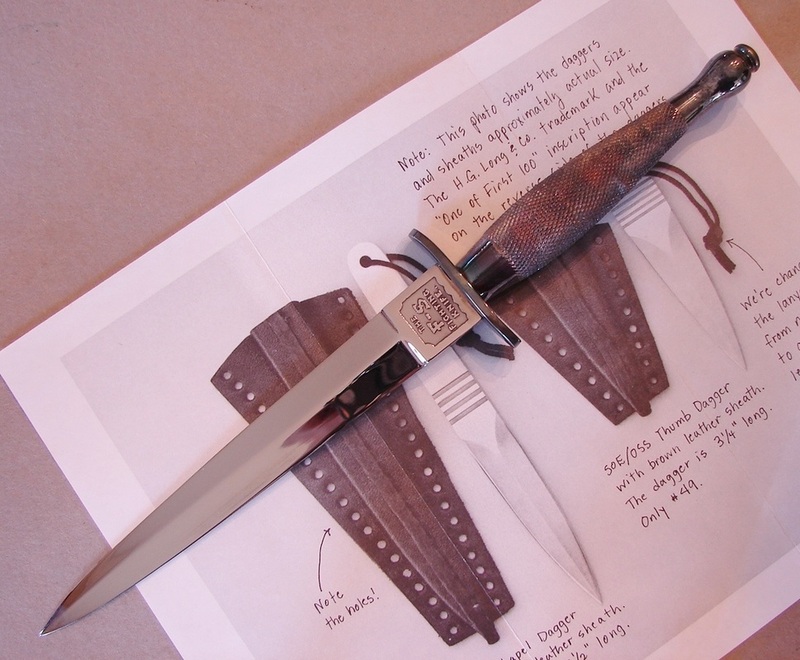 They are battle-worthy fighting knives that could be sharpened and carried into combat. These are some of the last of the high quality knives produced by Wilkinson Sword before they were sold to Fiskars. Above: The War in Europe Series: Produced by the renowned Wilkinson Sword Co., the blades were etched with the same logo as used in WW-II for the first time in nearly 50 years. 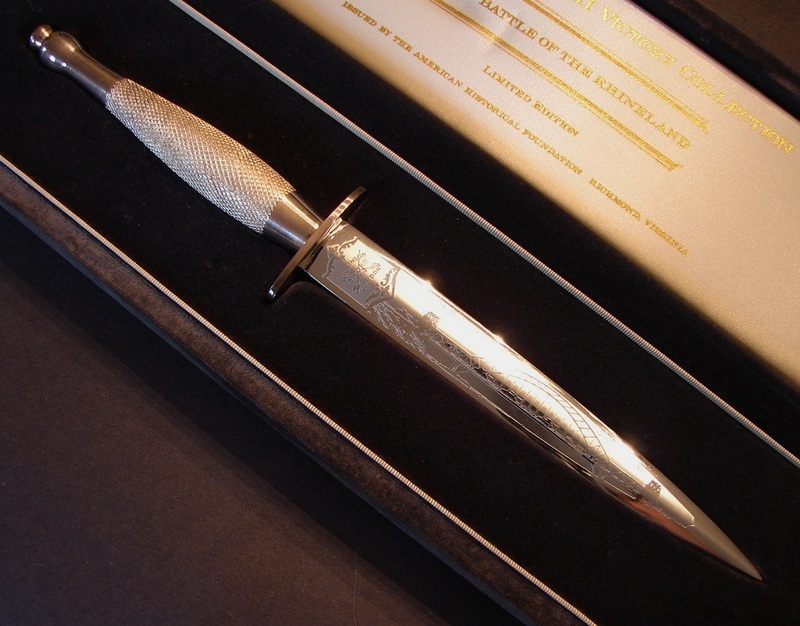 The knives are combat-worthy and the details of the etching are exquisite. 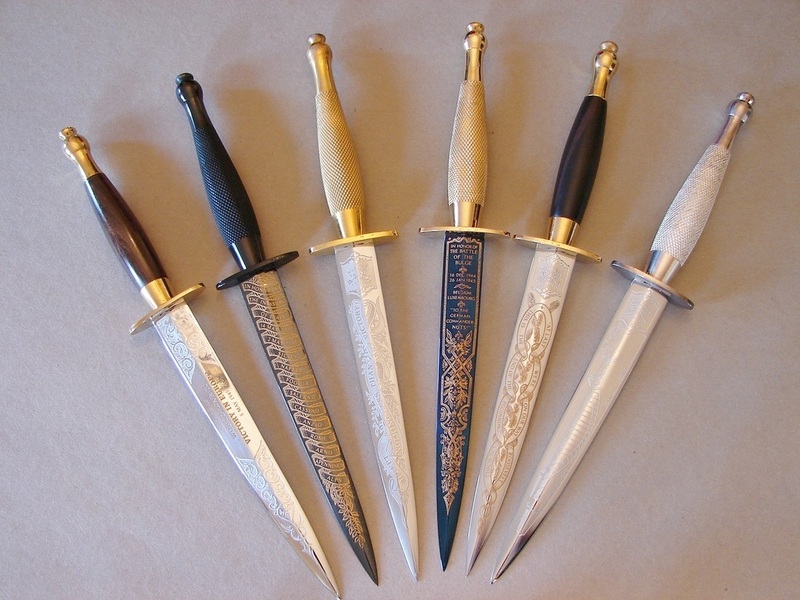 The guards are gilt steel and the handles are lathe turned and knurled brass. The only thing missing are the vise marks on the top nuts, care being taken not to ruin the gold plating. 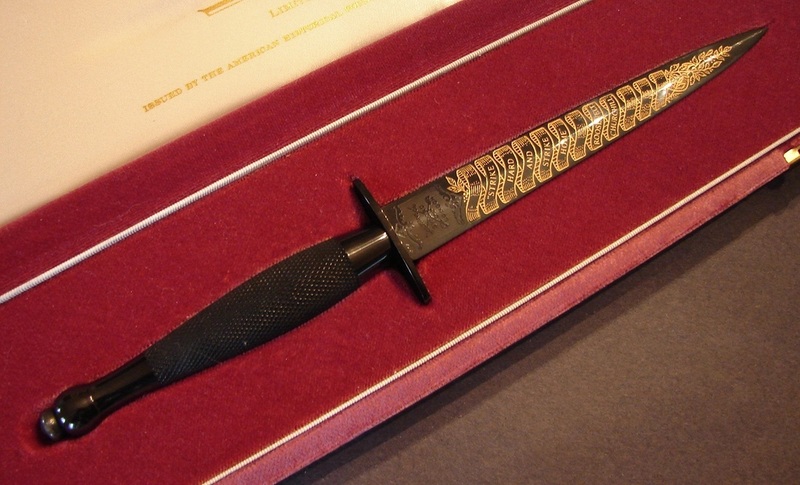 Each knife came in its own fitted velvet case with gilt latches. Today these knives are starting to become serious collector's items and reflecting their true value. Below: Here are some of the War in the Pacific Theater. They were produced by H. G. Long and also issued by the American Historical Foundation of Richmond Virginia. Money was getting tight and I did not buy the entire collection. Commemorating Victory in the Battle to reclaim the Falkland Islands from Argentinian invasion troops. 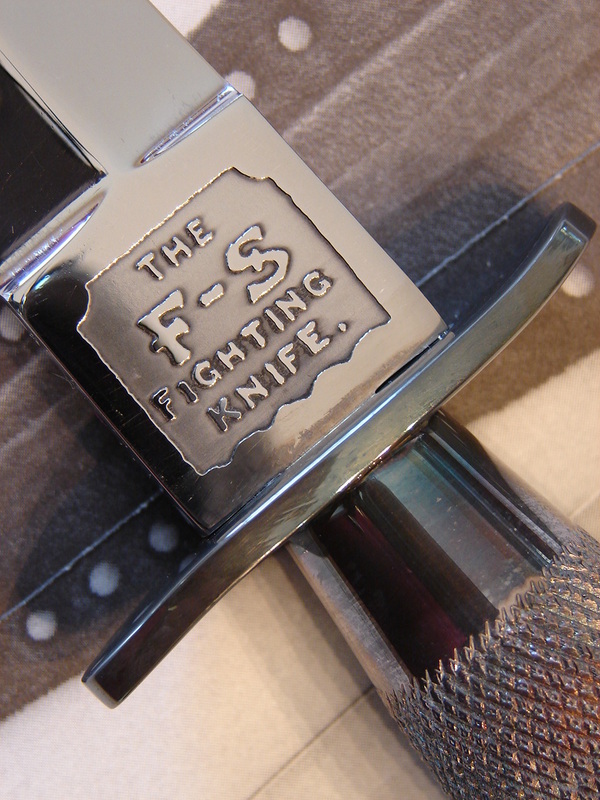 This beautiful nickle plated third pattern, one of those produced in the latter years of the company before it was sold off and the edged weapons section shut down. Even at this late date the high quality of F~S production is obvious. 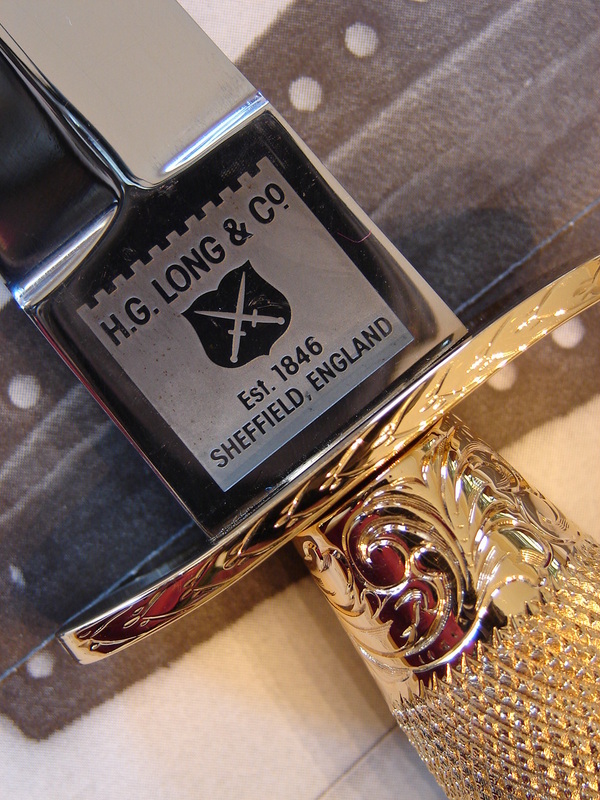 The blade is etched with the long version with the British royal arms. 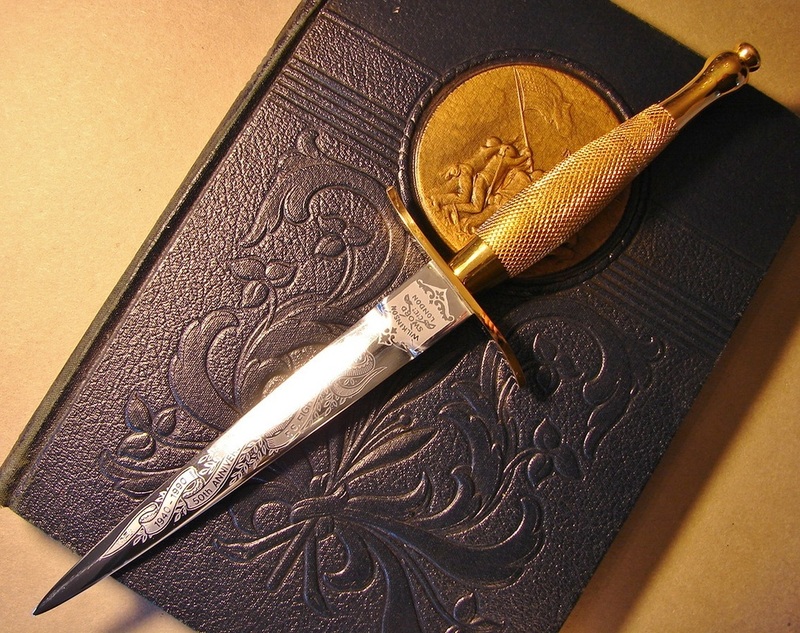 Fiftieth Anniversary First Pattern: Ironically this replicates a knife Wilkinson denies ever making, a first pattern with a three inch guard. 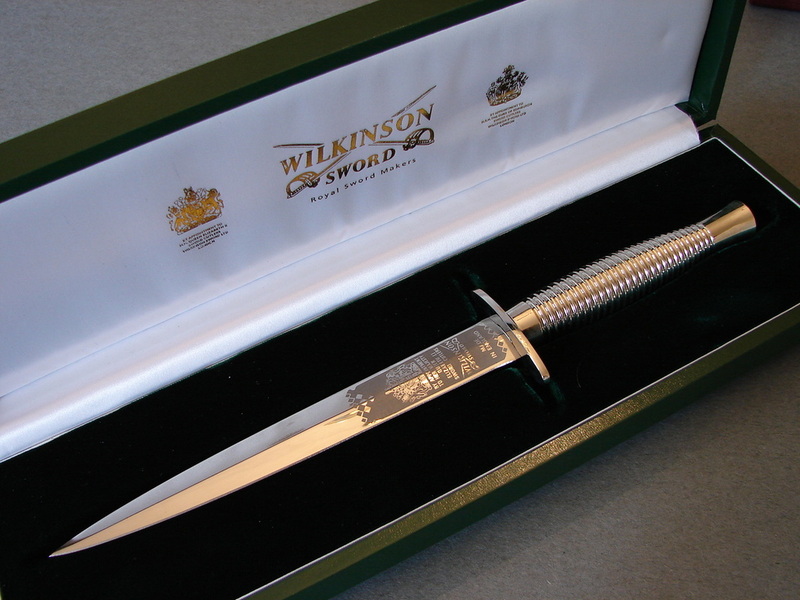 To celebrate the fiftieth year since its inception, the new owners of Wilkinson Sword Co. decided to produce a replica of the infamous First Pattern with three inch wide guard. Since there was already controversy about the authenticity of the 3 inch versions this only confounded and compounded the question. 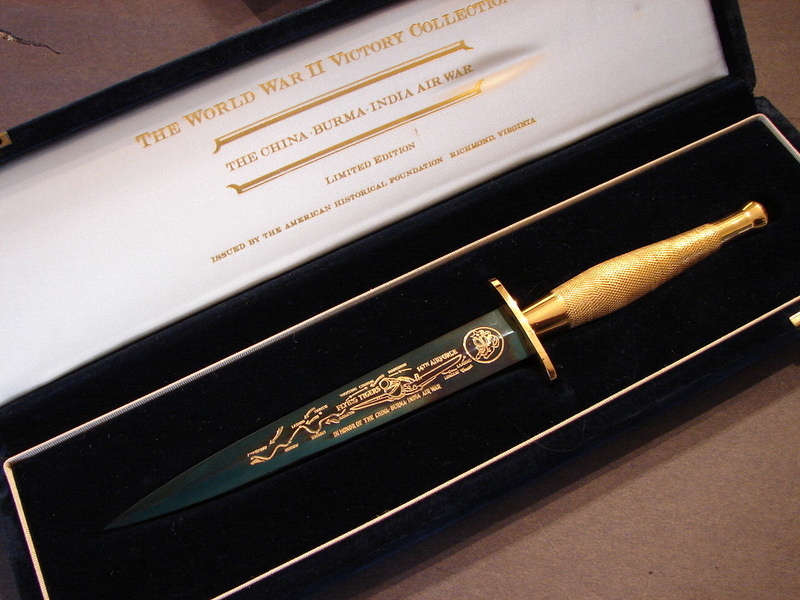 Despite that, it is a wonderful knife that pays tribute to one of the War's most famous knives, the P-1. The only difference I can see between it and a war-time knife is the blurring of the corners of the ricasso by over bufffing them to achieve the high polish. The etching is crisp and elegant and the fittings are exceptional. 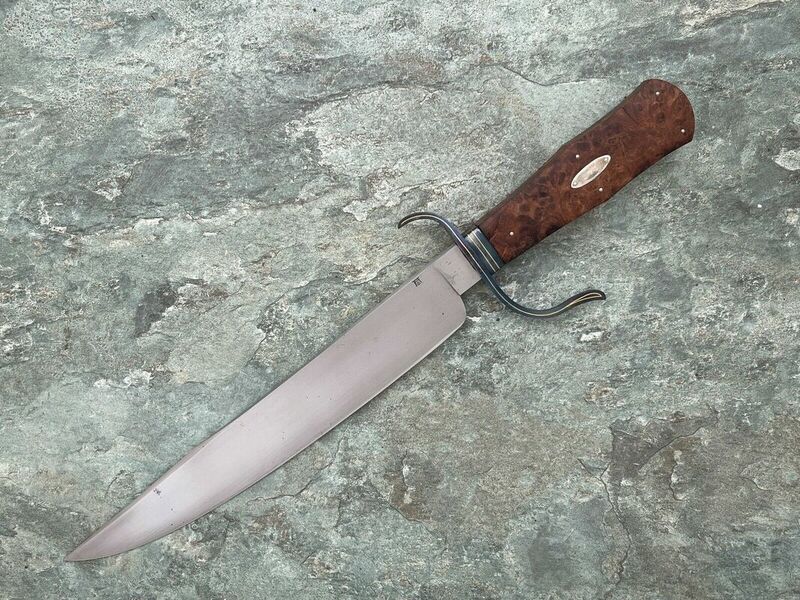 The question of the existence of the three inch guard knives seems to be gaining some veracity as more examples, from actual war veterans, begin to show up. 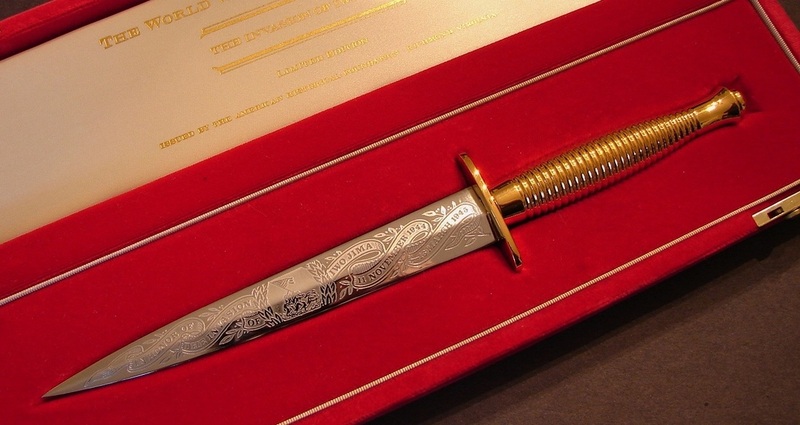 On the right is a close-up of the 50th anniversary first pattern blade. You can clearly see the reproduced war time WSC logo and read the etched scroll which states: "The 1940-1990 50th Anniversary of the F.S. 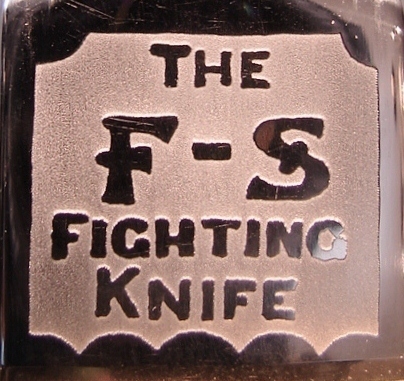 Fighting Knife" The back side of the ricasso is also etched with the war-time F~S Fighting Knife logo which was not used on most later post war knives. manufacture." Our thanks to the new owner for sharing that bit of information with us. If you have a knife you want to share with us please send us clean jpeg photos with hi-resolution if possible. Just contact us through the place provided on the references and links page. We will email you back ASAP. I have lost the info on this knife maker. One of our followers sent me the photos. It is a second pattern which appears to be a HG Long perhaps? Although I am trying to remember if it was a Wm. Rodgers. Anyway, it has an S.A.S. cap badge rolled around the hilt and soldered in place. 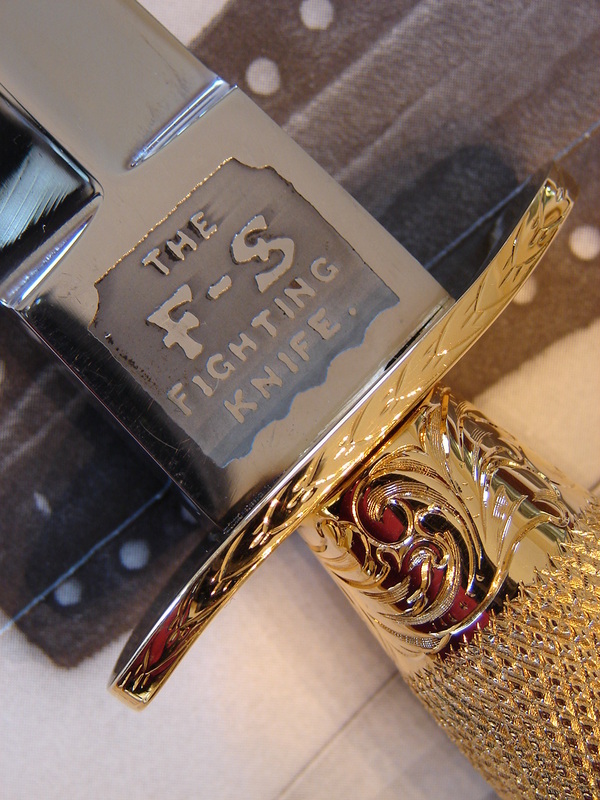 I have seen more recent versions of this on a third pattern with the badge on the guard which makes the knife quite unusable. The clue to it being post-war is the thin crossguard and floppy sheath. The knife itself is quite attractive.